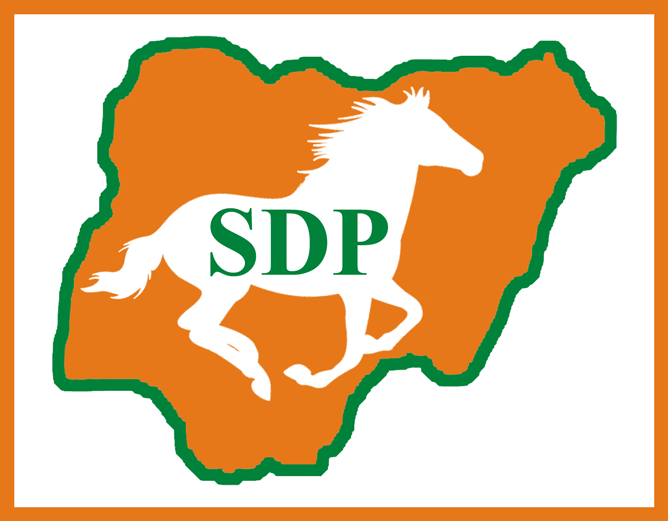 The Social Democratic Party (SDP) in Abia on Saturday elected a 36-member state executive committee, amidst complaints from Abia South Zone. The exercise which took place in Umuahia went on smoothly until the moderator and Chairman of the Congress Committee, Mr Effiong Unah, announced one Chukwudi Abangowe, as the Organising Secretary. News Agency of Nigeria (NAN) learnt that the zone had nominated one Chukwuemeka Akomas, reputed to be a founding member and chief financier of the party in the area, for the position. In a spontaneous reaction, leaders and other members of the party from the zone staged a walk out from the venue of the congress to protest against the non-inclusion of Akomas. The Zonal Woman Leader, Mrs Mary Linus, and other stakeholders in the zone, including Mr Dickson Asonye and Mr Frederick Okoh, alleged in an interview with NAN that the zone was short-changed. They said that the choice of Abangowe instead of Akomas, “who nurtured the party from inception” was unacceptable to them. “This is the end of SDP in Aba North and Aba South and Abia South Zone as a whole if they fail to reverse the decision. “We conceded some positions to other zones as part of the party’s resolution in favour of harmonise. “This decision is unacceptable to us because we do not know of any petition against Akomas before now,” said Asonye and Okoh. Reacting to the complaint, the Congress Committee Chairman said that there was a petition against Akomas that was still pending before the party’s National Working Committee. “We got a directive from the national headquarters of the party that there is a petition against Akomas, hence his nomination was dropped,” Unah said. He described the congress as peaceful, saying that the protest was “a normal situation in a party congress. NAN reports that all the positions were filled by consensus, subject to affirmation by the party members. The list of the new executive, include Chief Chidi Nwosu (chairman), who was the Steering Committee Chairman, Mrs Juliet Nwabuike (Deputy Chairman) and Mr Okereke Ogbonna (Secretary). In an acceptance speech, Nwosu expressed thanks to the delegates for the confidence the members reposed in him and promised to run an all-inclusive and open-door administration. He said that the party would continue to intensify its membership drive ahead of the 2019 general elections.